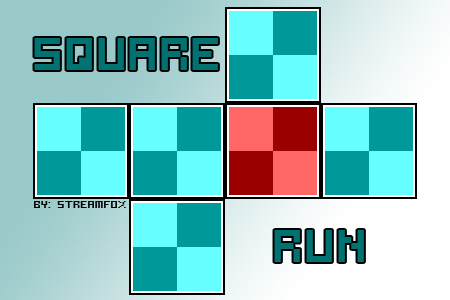 Square Run is a simple run and jump puzzle map, inspired both by The Void and the indie game Battle Jump. 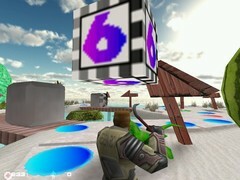 Each colored square has an ability like gives low gravity, boost or simply kills the player. 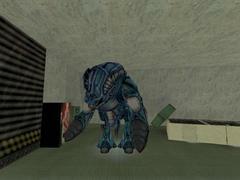 At some places map uses trigger_gravities, custom server plugins may crash the trigger_gravity. 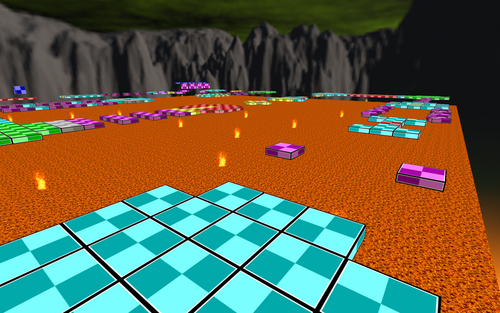 Which means it may not work properly and players can't pass through in certain areas. Map has an extremely large size, it has literally a huge skybox. This means huge outdoor area which may causes lags. Players' latencies also causes some lags. 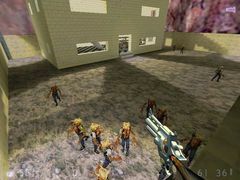 It has already exceeded the Max_leaf_faces error because of the large size, but the error were fixed with highly overscaled textures which players cannot see. 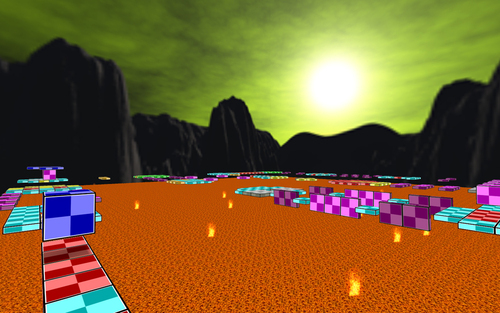 Map looks fullbright, but it has light, a light_environment. The reason its looks fullbright is that the light_env have a -90 pitch, and lava also emits some light. This way platforms get almost the same brightness light from top and bottom. Its a good challenge with novel environment.At some places you need more patient and jumping skill. And the high latency makes really hard to complete. No puedes, aun no ha sido lanzado.